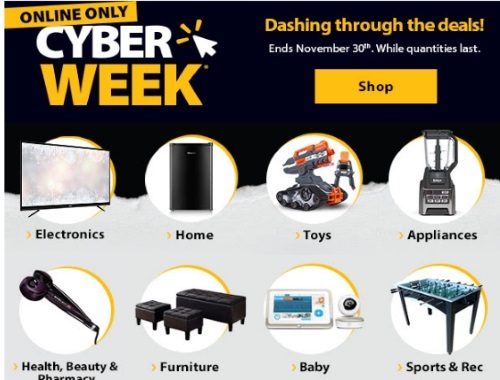 Walmart's Cyber Week Deals continue! Go dashing through the deals now! Offers end November 30, 2017, and are while quantities last.